Third-year Fort Lewis College men’s soccer coach David Oberholtzer watches his players Thursday during a scrimmage against Otero College at FLC. The Skyhawks were picked third in the RMAC preseason poll. Fort Lewis’ Hakeem Rabiu, left, takes on Otero College on Thursday during a scrimmage game at FLC. Rabiu played in 16 games last season. 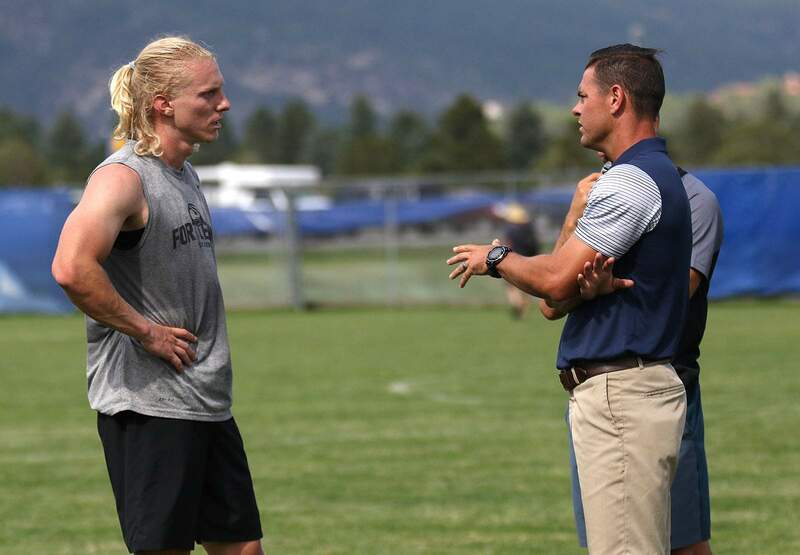 Third-year Fort Lewis College men’s soccer coach David Oberholtzer talks with player Marshall Metzger on Thursday during a scrimmage against Otero College at FLC. Metzger was named to the preseason all-conference team. 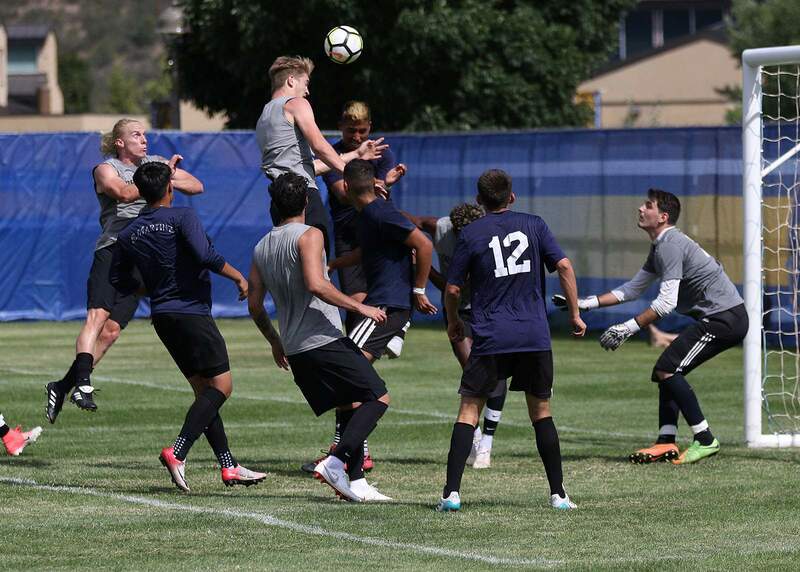 Behind a strong group of returning players playing for third-year head coach David Oberholtzer, the Fort Lewis College men’s soccer team was picked third in the preseason coaches poll Wednesday. FLC is looking to build off of last year’s success, as three Skyhawks were named to the Rocky Mountain Athletic Conference preseason all-conference team. Junior midfielder Ty Lang, junior defender Marshall Metzger and sophomore forward Ryan Lee all earned honors. Lee will return as the Skyhawks’ leading point-getter from a year ago. He led the team with six goals and also added three assists in 19 games last season. The Castle Rock native was named second-team All-RMAC last season and will be expected to lead FLC once again. Lang will be one of the key returners in the midfield slot after he tallied four assists and was second on the team in most minutes played, logging more than 1,700 minutes. He started all 19 games for the Skyhawks last season. Rounding out the preseason list for FLC was Metzger, who played more than 1,600 minutes and started every game. The Albuquerque native scored his lone goal of the season against South Dakota Mines. Overall, FLC will have another fierce year near the top of the RMAC table, and the Skyhawks were picked to finish in third place in the preseason coaches poll, receiving 96 total votes, including one first-place vote. FLC is coming off of a third-place finish last year when the Skyhawks went 9-3-2 and lost to Colorado Mesa in the RMAC tournament semifinals. Colorado School of Mines was the unanimous favorite in the conference, as the Orediggers received 118 total votes, including nine first-place votes. The votes came for good reason, too, as the Orediggers return both the preseason player of the year in senior forward John Haist and defender of the year Jason Zobott, a junior. Haist tallied the second-highest goal total in Division II with 22, while Zobott played in every game for Mines last season. Colorado Mesa’s Briley Guarneri was named the preseason goalkeeper of the year for the second consecutive season. The teams predicted to finish near the bottom of the 12-team RMAC table were Colorado Christian with 17 votes as well as South Dakota Mines and Adams State both received 25 votes. 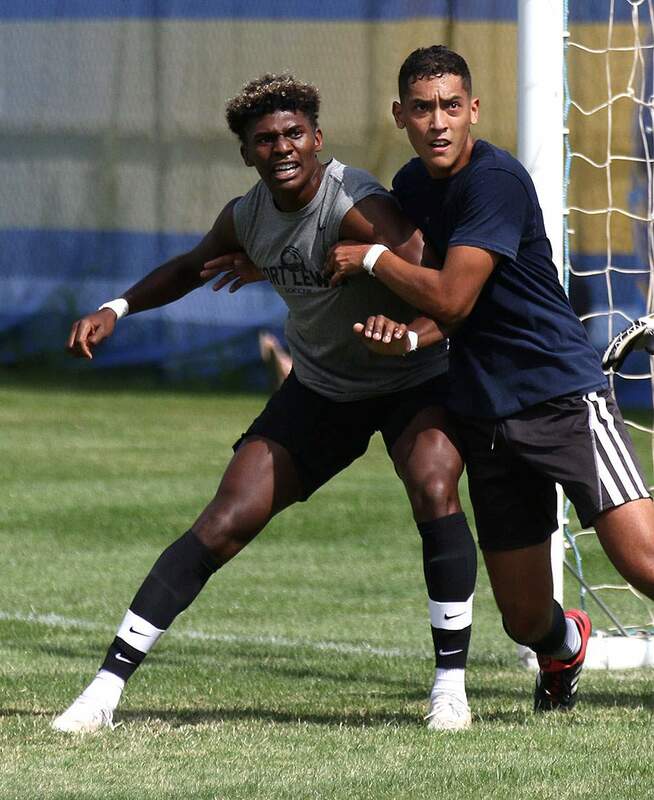 Fort Lewis College men’s soccer took on Otero College in an exhibition Thursday at Dirk’s Field in Durango. The Skyhawks will open the season Sept. 1 at Texas-Permian Basin. Fort Lewis opened its season with an exhibition match against Otero Junior College on Thursday afternoon at Dirk’s Field and will play once again Saturday, as they will host Adams State at noon. Women’s soccerThe Skyhawks were picked to finish ninth in the RMAC this season, receiving a total of 80 points. The Skyhawks are slightly behind Westminster with 88 points and 11 points behind seventh-place Colorado Mesa. The key story for FLC might not be a player but rather the return of a familiar face. Damian Clarke returned in his first year of his second stint coaching the Skyhawks, as he coached from 2007-13. He spent the last four seasons at fellow Division II school Midwestern State in Texas. Clarke will have a challenge to get the Skyhawks back to a perennial RMAC power, as FLC won two conference championships and made the NCAA Tournament seven times. No FLC players were named to the all-conference preseason team, and the Skyhawks went 4-11-1, including 4-8 in RMAC play last season. Fort Lewis has its lone preseason game Aug. 25 in the annual alumna game at 1 p.m. They will open their season Aug. 31 with a trip to Angelo State in Texas. VolleyballFort Lewis also has a new face of the volleyball program as Tricia Melfy is about to begin her first season at the helm. 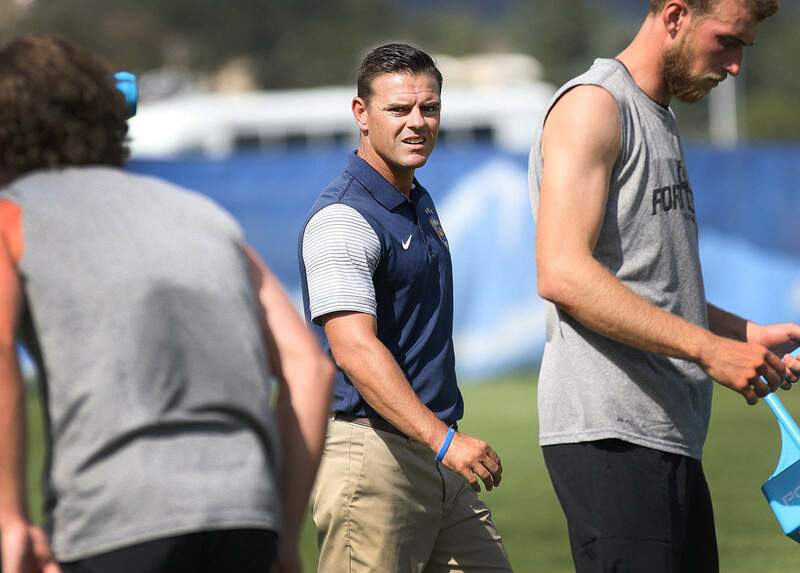 Melfy, who previously coached at Phoenix College in Phoenix, will attempt to lead a senior-laden squad past its conference critics, as the Skyhawks were picked to finish 14th out of 16 teams in the RMAC, registering just 44 points. The Skyhawks were ahead of Western State, which had 35 points. Regis was picked to win the conference, receiving 225 points and the maximum possible 15 first-place votes. Colorado School of Mines was projected to finish in second place with 208 points, and in third was Metro State with 191. While the Skyhawks did not have any players selected to the all-preseason squad, the six seniors will try and flip the script, and Melfy has had success at doing so. Despite registering 18 winning seasons in her 23-years as a coach, it may be more difficult than expected, as FLC went 9-17 overall, 4-14 in the RMAC last season. Colorado Christian’s senior setter Kylee Wurster was named preseason setter of the year for the second consecutive season after averaging 11.4 sets per game last year. Nikki Kennedy of Regis was named both the RMAC preseason defensive and player of the year, as she led the Rangers to a conference championship. The season lid-lifter for FLC will be an exhibition at 2 p.m. Saturday at the University of New Mexico. The alumna game is 5 p.m. Aug. 25. The regular-season opener is at noon Aug. 31 at Westminster College.